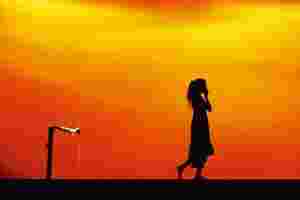 Silence reigns: The Water Station, scripted by Shogo Ohta, is a play without dialogues. 7.30pm. Ranga Shankara, 36/2, 8th Cross, 2nd Phase, JP Nagar (26592777). Tickets,Rs 100, available on www.indianstage.inand www.bookmyshow.com. For details, call 9886370614. The Dhaatu Puppet Theatre brings a unique programme featuring classical dance and puppetry. The show begins with a solo Bharatanatyam performance by city-based dancer Prakruti Hoskere. This will be followed by a 10-minute transition into an interaction between a puppet and the dancer and will culminate with the puppet performance Bhakta Prahlada, directed by Anupama Hoskere. 6.30-8pm. Gayana Samaja, KR Road, Basavanagudi (26506049). Be seated by 5.45pm. For details, call 9886444593. A new solo show by Sheela Gowda. The show, which explores the notion of staged images, includes two inviting spatial installations, Like a Bird and Margins—one, a room-wide network of ropes made of human hair, moored by axe heads, and spanning the corners of the space (think Ai Weiwei’s Through, only somewhat constricted and reimagined); the other, a floor-to-ceiling deconstruction of doors, jambs and wooden beams (quite like a graft of an Escher). Students of The Rhythm of Manipuri Dance, led by their artistic director Angabala Irengbam, will perform excerpts from the ras-leela tradition, as well as folk and tribal dances of Manipur. Angabala and her sister Bijenti’s relationship with the city began over 10 years ago, when they enrolled for a three-year degree course in choreography at the Natya Institute of Kathak and Choreography. They moved to Bangalore in August last year to begin their dance school, The Rhythm of Manipuri Dance, to enhance understanding of this dance form. 6.30pm. Yavanika, Auditorium, Directorate of Youth Service Centre, Nrupathunga Road (22214911). This is the first of a series of events conducted as part of the Exposing Data project by the Centre for Internet and Society and Tactical Technology Collective. The idea is to bring together open data artists, designers and others interested in social change to look at the intersection of art and activism, specifically with regard to data visualization and representation and new forms of data mapping that change what it means to be politically engaged. Ward Smith (lecturer, University of California), Stephanie Hankey and Marek Tuszynski (co-founders, Tactical Technology Collective), Ayisha Abraham (film-maker, Srishti School of Art Design) and Zainab Bawa (research fellow, Centre for Internet and Society) will lead the conversations. A concert of jazz, Latin and Caribbean music featuring Izaline Calister on vocals, Yelman Aponte on bass, Enrique Firpi on drums and Marc Bischoff on piano. Calister grew up in Curaçao, an island in the Caribbean. The influence of sand and surf is evident in many of her songs, such as Mi Pais (My Country) and Áwaseru (Rain), which sound like they were played on instruments made from shells, coconuts, bottles and other sonorous objects washed up on the shore. She describes these rhythms as an organic mixture of traditional African music with a Caribbean flavour. 8.30pm. Bflat and Highnote Bar and Dining, 776, 100-Foot Road, Indiranagar (25278361). Entry charge, ₹ 300 per person. A day-long festival of music featuring Indian rock bands Indus Creed, Avial, Inner Sanctum, The Bicycle Days, Boomerang, Solder and Agam, guitarist and composer Warren Mendonsa’s solo project Blackstratblues, slide guitarist Salil Bhatt, guitarist Mayukh Sarkar and the UK-based harmonica player Brendan Power. 11am onwards. CounterCulture, 2D2, 4th Cross, Dyavasandra Industrial Area, Whitefield Road (41400793/94). Entry charge, ₹ 500 per person. The National Dance Company, Wales, will present its latest work, inspired by the poet Dylan Thomas. Thomas wrote his poem ‘In My Craft or Sullen Art’ in 1946; 65 years later, it touched a chord with American choreographer Stephen Petronio, who worked with the National Dance Company to compose a contemporary dance performance. The company’s first tour of India—a three-city tour from 25 November-7 December—is the result of long discussions between its artistic director Ann Sholem; Madhu Nataraj, the founder and director of Bangalore’s STEM Dance Kampni; and Chennai dancer Anita Ratnam. The company will hold classes and discussions along with the performances. The tour is supported by the British Council, Wales Arts International and the Welsh government. 7.15pm. Chowdiah Memorial Hall, 16th Cross, GD Park Extension, Vyalikaval (23445810). 10am-6pm (Mondays closed). Curator’s Gallery, Chhatrapati Shivaji Maharaj Vastu Sangrahalaya, Mahatma Gandhi Road, Kala Ghoda, Colaba (22844484). At Aurus’ Sunday Sundown sessions in association with Time Out, Canadian Nathan Johnson, who performs as Hrdvsion, strikes a cracking blend between creative minimal techno to intrigue your mind and grooving beats to move your feet. Playing the other set is German producer Andy Vaz, whose long DJ career has ensured he has mastered the art of switching between diverse styles, from Chicago House to groove-focused minimal tech. 10.30pm. Aurus, Nichani Kutir, Juhu Tara Road, near the Reid and Taylor showroom, Juhu (67106667). Entry charge,Rs 1,500, including drinks. Art historian and writer Savia Viegas throws light in this talk on little-known Goan artist Angelo da Fonseca’s predilection for imparting an Indian flavour to Christian art. Between the 1930s and the 1960s, Fonseca devoted his life to developing an Indian aesthetic for Christian art. Every painting that the artist made depicted Christian figures as Indians in a local landscape. Viegas is currently working on a book on Fonseca. 5.30-7.30pm. Dr Bhau Daji Lad Museum, 91 A, Rani Baug, Veer Mata Jijabai Bhonsle Udyan (Byculla Zoo), Ambedkar Road, Byculla—East (65560394). Theatre Professionals is organizing a six-day advanced workshop for experienced actors with Chilean musician and circus artiste Claudia Clavijo. Clavijo will perform blues, jazz and Latin American rhythms to “fit the actions of the actor" during the exercises and help participants draw out their inner child and clowning artistry. Geetanjali Kulkarni, an alumnus of The National School of Drama, will conduct a six-day acting workshop covering elements of physical and voice training, and text work. The son of Malian blues legend Ali Farka Touré will perform at the Blue Frog this fortnight. Known as the “Jimi Hendrix of the Sahara", Vieux Farka Touré’s playing brims over with what American movie director Martin Scorsese described as “the DNA of the blues". When Vieux Farka Touré strums his instrument, you can immediately hear the raw material that African slaves turned into the blues when they were transported to the plantations of South America. In this gig, he will be dispensing music with a drum kit solely using Malian percussion. 10pm. Blue Frog, New Mahalaxmi Mills Compound, opposite Empire Mills, Senapati Bapat Marg, Lower Parel (40332300). Entry charge, ₹ 1,000 per person. This 2005 film is a children’s romance. Malú and Jorgito’s love-hate playground relationship is put to the test when Malú’s mum announces plans to move away, prompting the pair into a runaway mission down the spine of the island in search of her lighthouse-keeper dad. Spanish, with English subtitles. 1 hour, 20 minutes. 4.30pm. Instituto Cervantes, 48, Hanuman Road, Connaught Place (43681900). Last year, the Amarrass Records label was launched with a spellbinding performance of The Manganiar Seduction featuring Rajasthani folk musicians. This year the organizers have gone a step further and will be presenting musicians from the Thar and Sahara deserts. Malian blues singer Vieux Farka Touré will perform along with Rajasthani sarangi player Lakha Khan and Sufi vocalist Mangey Khan, who represents the next generation of Manganiar Sufi musicians. Nihal Khan is a blind Manganiar singer who is affectionately called the Surdas of the community. 6pm. Siri Fort Auditorium, Khel Gaon Marg (26493370). For tickets, ₹ 500,Rs 1,500 and ₹ 2,500, visit www.amarrass.com or call 46661200. An enka performance by Sarbjit Singh Chadha, the first non-Japanese person to release an enka album in 1975. He will be backed by a group from Japan. Enka is a popular Japanese genre usually featuring sentimental ballads, and resembling traditional Japanese music. The event will be presented by the Japan-based Chadha Foundation and the not-for-profit organization Society to Promote Indo-Japan Cultural Relations. 7pm. The Hilton Janakpuri, Janakpuri District Centre Complex (41234123). For details and invites, call 23414666. 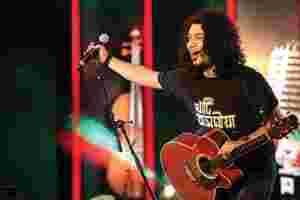 Rock on: Papon, of East India Company band fame, will play at The Lalit. 7pm. The Bar 24/7, The Lalit, Barakhamba Road (44447777). Entry charge,Rs 700 (DJ performances) and ₹ 1,000 (band performances), includes two vegetarian/non-vegetarian complementary starters. Certificates of authenticity are a critical aspect of artworks today. On show are authentication certificates of the works of artiste Yoko Ono, artist Marcel Duchamp and others. Curated by Susan Hapgood and Cornelia Lauf, the exhibition takes a historical look at the last 60 years. The curators wanted to include a broad span of certificates, including “seminal examples, dry institutional documents and conceptually witty works too". Most of the 70-odd certificates are exhibited in facsimile format and printed on paper. 10am-7pm (Sundays closed). Khoj Studio, S-17, Khirkee Extension, near Sai Baba Temple (65655874). 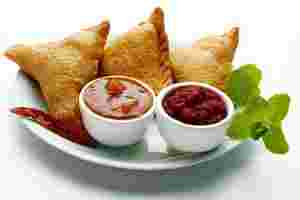 Snack time: Gorge on samosas at the Street Food Festival. Noon-3pm. Paprika, Courtyard by Marriott, Anna Salai (66764488). A complete meal for one, ₹ 1,426. This workshop on stencil screen-printing techniques on fabric is for adults. Participants will be taught paper stencil screen-printing and screen-filler screen printing, as well as processing and the usage of silk screen frames. The material will be provided at the workshop. 10.30am-5.30pm. DakshinaChitra, Muttukadu, East Coast Road (24462435). Registration,Rs 850 per person. This photography exhibition features the works of art historian K.T. Gandhirajan. The series is based on his research on the art and archaeological history of south India. The photographs are from the rock sites of Karikkiyur, Mavadaippu, Anaimalai and Alampetty. 10.30am -5.30pm. DakshinaChitra, Muttukadu, East Coast Road (2446 2435). This musical is about a lonely rich man, John Dale, who wants to “rent" a Christmas that includes not just decorations and carols but also a family to celebrate with. Based on a story by J.L. Vandervere, the musical has been adapted by Norman and Yvonne Ahern. 2 hours. 6.30pm. Prasad Film Lab Preview Theatre, Road No. 2, Banjara Hills (27700734, 23608015, 9391020243). Germany’s youth jazz orchestra BuJazzO (Bundesjazzorchester) will perform in the city as part of “Germany and India 2011-2012: Infinite Opportunities". BuJazzO is involved in the musical training of young people, and has given over 300 concerts, undertaken 15 international tours and produced numerous broadcast recordings. 7pm. Amphitheatre, Taramati Baradari cultural complex (23241791). Passes available at the Goethe-Zentrum office (65526443/23241791). Brought by ‘The Hindu’ newspaper, the fest will see performances by Pakistani duo Zeb and Haniya, Ganesh Rajagopalan (of the violinist duo Ganesh-Kumaresh) and Debashish Bhattacharya, a Grammy-nominated guitarist. 7.30pm. Ravindra Bharathi, Saifabad (9866247476). Season passes, ₹ 500, ₹ 700; daily passes, ₹ 100, ₹ 200, ₹ 300; and student pass, ₹ 50, available at Landmark (Banjara Hills), Bose Stores and ‘The Hindu’ office. Tejas Gallery presents a collection of patachitra paintings by Bhaskar Chitrakar, who is one of the last artists from a family of Kalighat-based chitrakars. 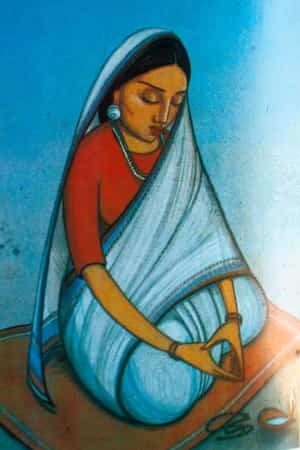 Kalighat Pata (or Kalighat Patachitra) is a type of painting and drawing on paper that was produced by artists called patuas in the neighbourhood of the Kali temple at Kalighat in the 19th and 20th centuries. Inspired by his grandfather, Bhaskar is trying to revive the tradition of Kalighat Pata, using classical techniques with a quirky touch. 12.30-7.30pm (closed on Sundays and public holidays). Tejas Gallery, 11, Mayfair Road, opposite the Ice Skating Rink. For details, call 9830049825. This solo exhibition of paintings by city-based Rabindra Nath Bhattacharjee features the artist’s works on global warming, tribal life and landscapes. Bhattacharjee, who also set up the museum of tribal art and culture in Nagaland, is showcasing a series of paintings with religious and tribal themes and motifs in oil, acrylic on canvas and watercolour. 2-7pm, Chemould Art Gallery, 12/F, Park Street (22298641). For details, call 9874272071/9830615322. 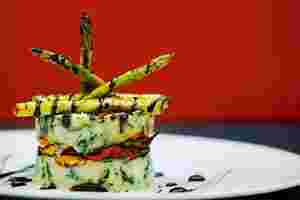 Buon appetito: An Italian food fest. 11am-midnight. Mocha Coffees and Conversations, Karnani Estate, 209, AJC Bose Road. Average meal for two,Rs 600, plus taxes. For details, call 30207406. Ivory Kitchen presents a special coastal food festival. The lavish spread includes dishes like Tamatar Tulsi ka Rasam, Mushroom Pepper Chettinad, Exotic Prawn Tikka, Maharashtrian Pomfret, Lamb Chops Kafrial, Tamatar Paneer ka Quth, Nizami Aloo, and Vasco Almond Cake. 12.30-3pm (lunch), 7-11pm (dinner). Ivory Kitchen, Fifth floor, Block-D, 22, Camac Street (22811312/13). Meal for two, ₹ 1,500, plus taxes. This Doug Atchison-directed 2006 film is the story of an 11-year-old girl from Los Angeles with a gift for words. Akeelah’s life is not easy. She’s smart, but her surroundings threaten to destroy her aspirations. Despite her mother’s objections, Akeelah enters various spelling contests, tutored by her teachers and her neighbours—including a spot in the Scripps National Spelling Bee. 2 hours. 3pm, Lincoln Room, The American Center, 38 A, JL Nehru Road (39846394/97). Preeti Goenka and Sumedha Saraogi had launched Stylefile—a winter ‘bazaar’—in 2002. This year some of India’s leading sculptors, painters and designers will showcase their creations along with promising names from the fashion and art industry. On display will be artworks by Anup Mondal, Nilesh Kumawat, Paresh Maity, Prafull Singh, Prajjwal Chowdhury, Rajesh Ram, Samir Aich, Saptarshi Naskar and Sunil Padwal, among others; a men’s classic shirts line by Udit Dhanuka, dresses by Simar Dugal, handmade stationery by Avarna and ethnic ‘potlis’ by Lalita Jalan. 3-11 pm. The Old Bungalow, 7/6, Alipore (9830992899).